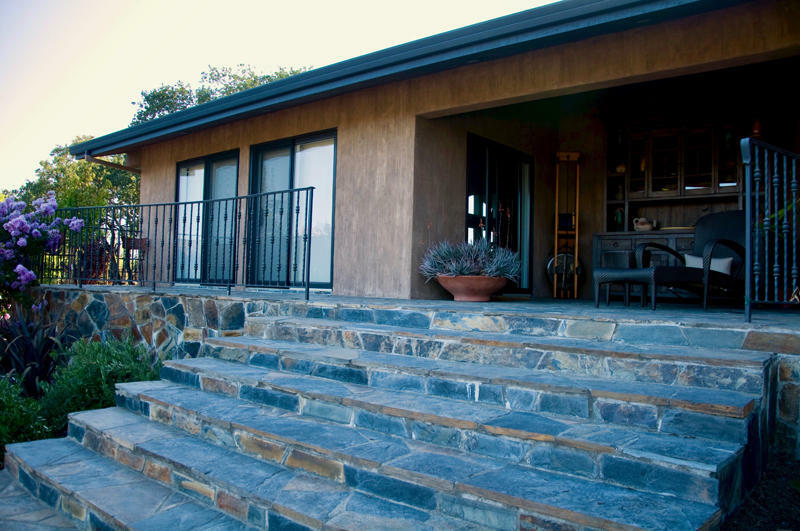 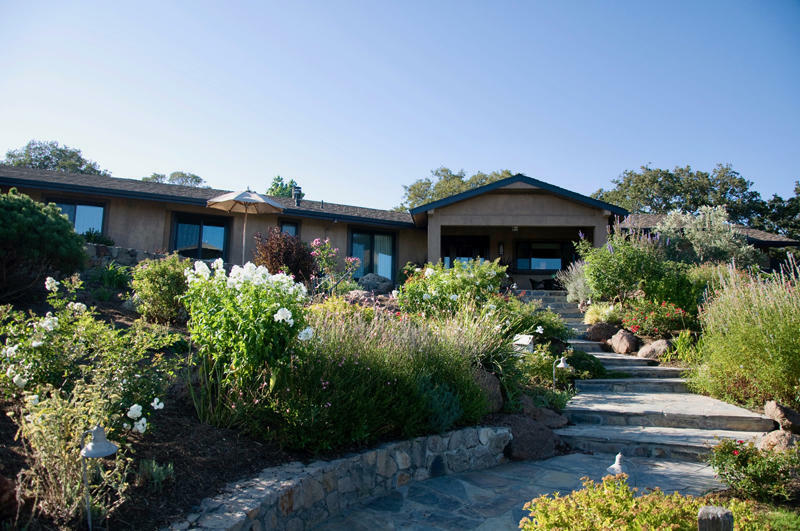 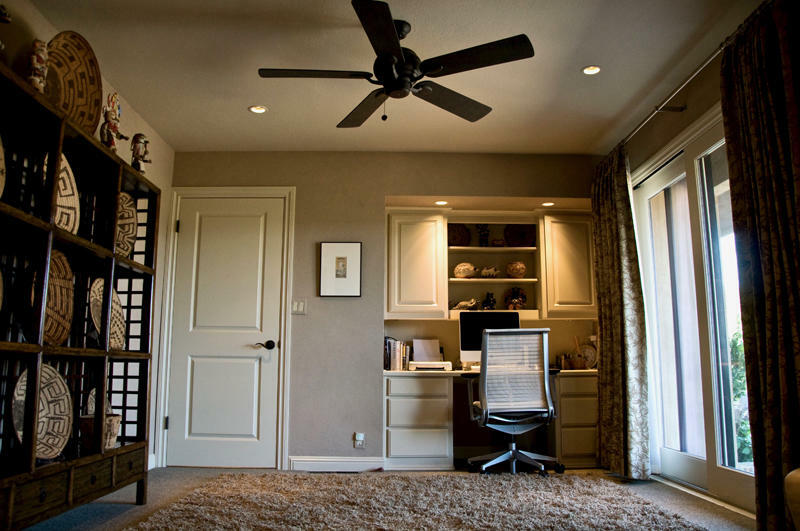 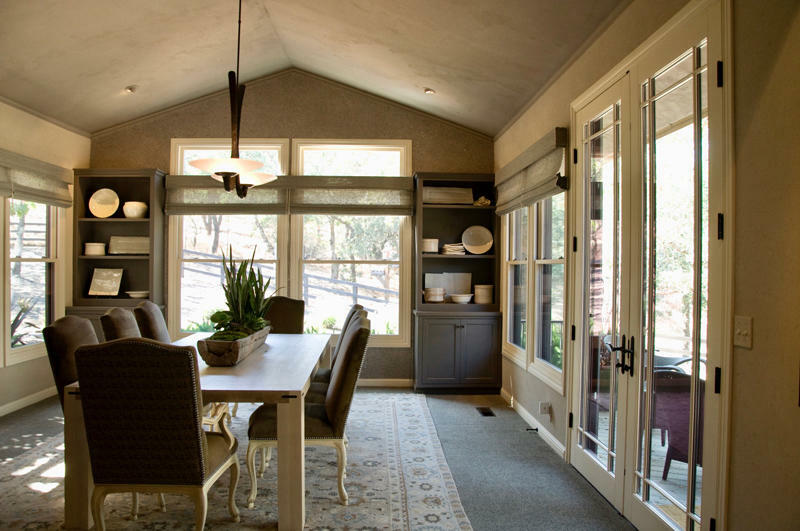 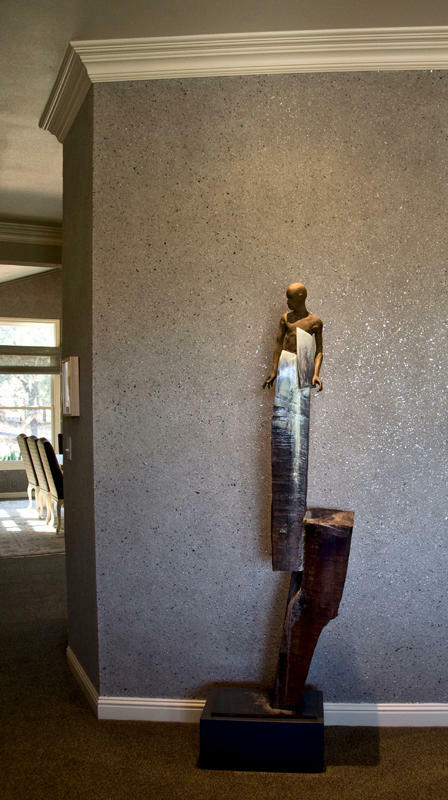 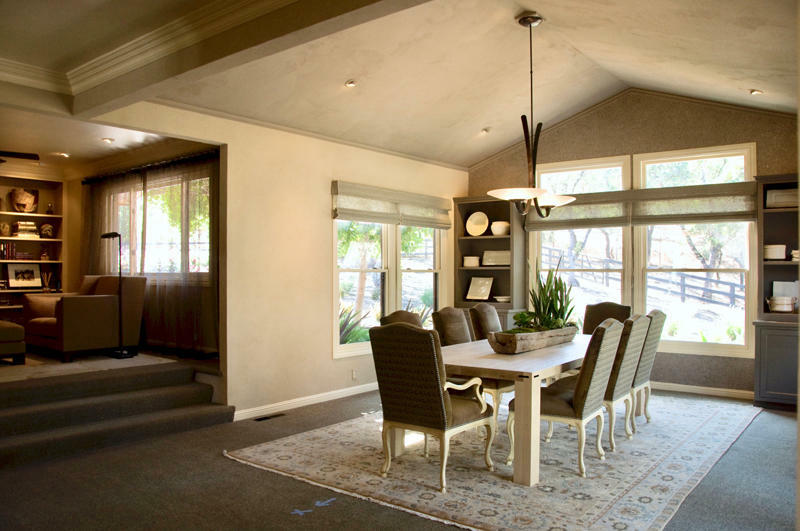 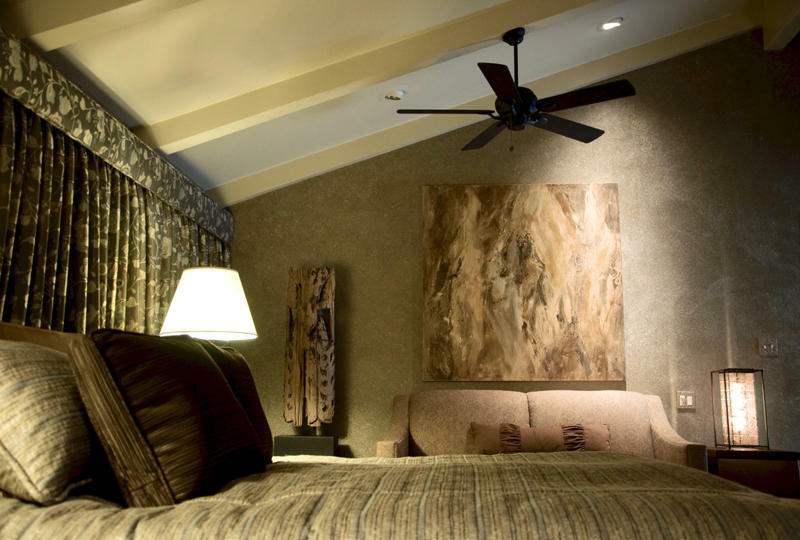 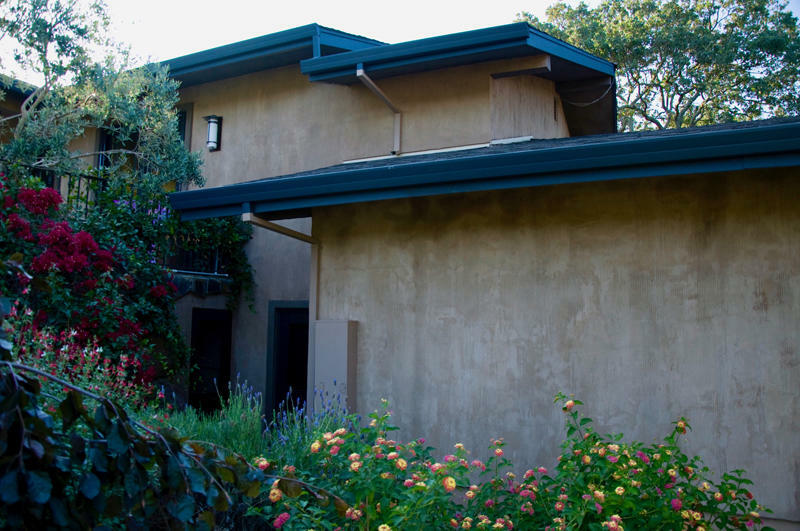 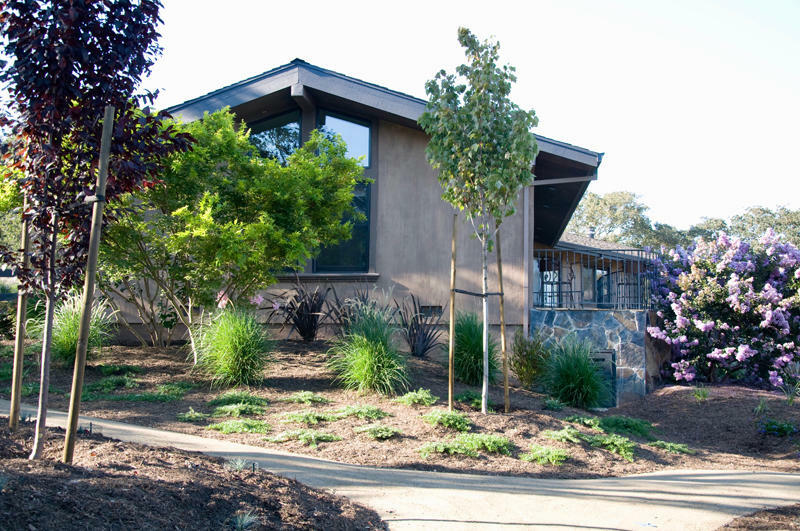 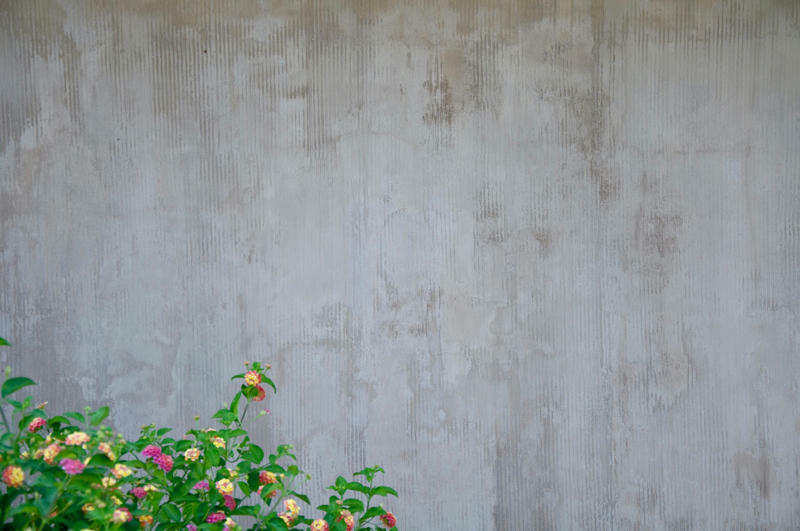 Beginning in 2008, Stonelace Designs had the opportunity to design and apply luxury eco-wall finishes to most of the interior and exterior surfaces at this Napa ranch over the course of nearly two years. 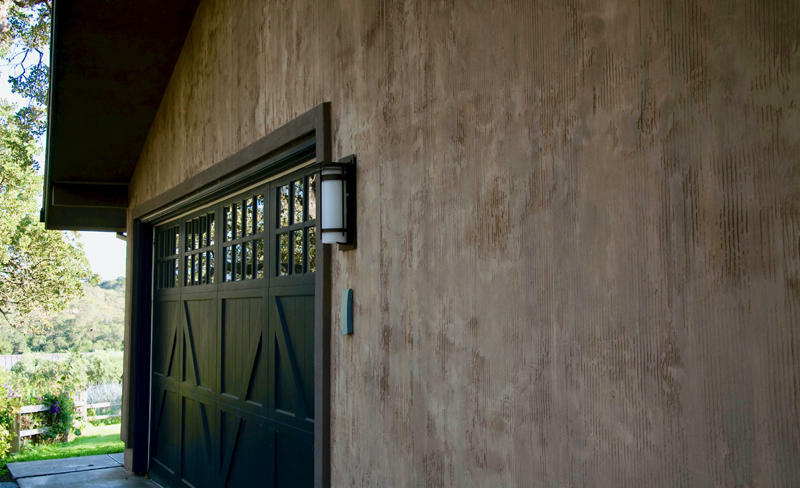 This included a carriage house where paint glazes were applied to the existing terracotta roof tiles, simulating an aged European style appearance. 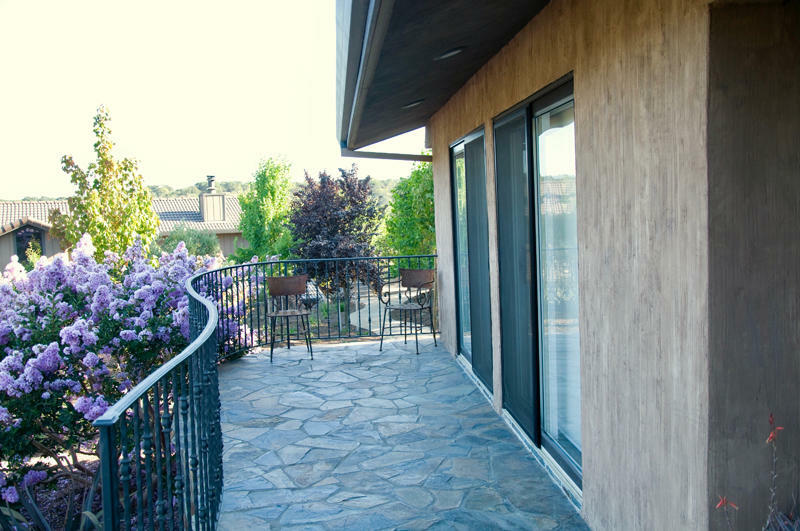 A glaze finish, which coated the entire wooden fence that surrounded the property, was also applied to give the ranch a subtle aged look. 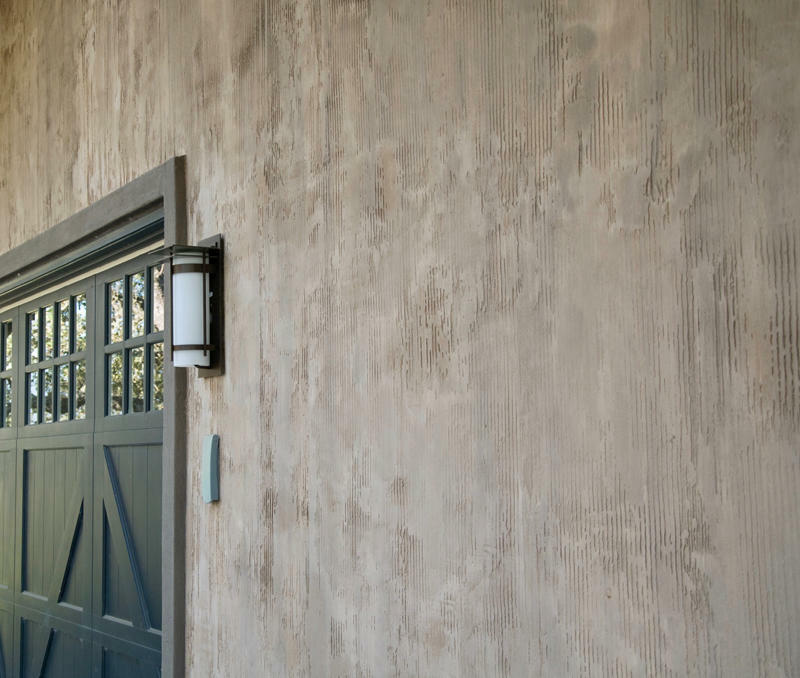 The entire exterior of the house was covered in a centuries-old natural Italian plaster product that combines slaked lime with reconstituted Carrara marble dust. 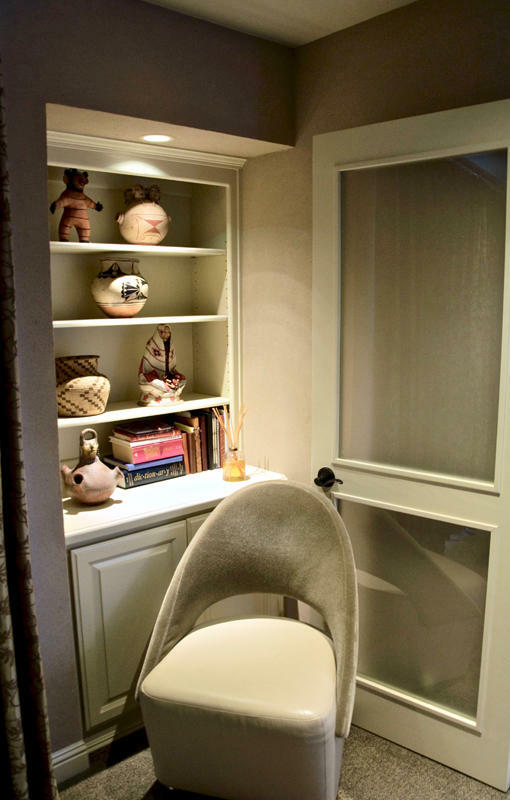 The product was applied and vertically combed to produce the rich, striated texture. 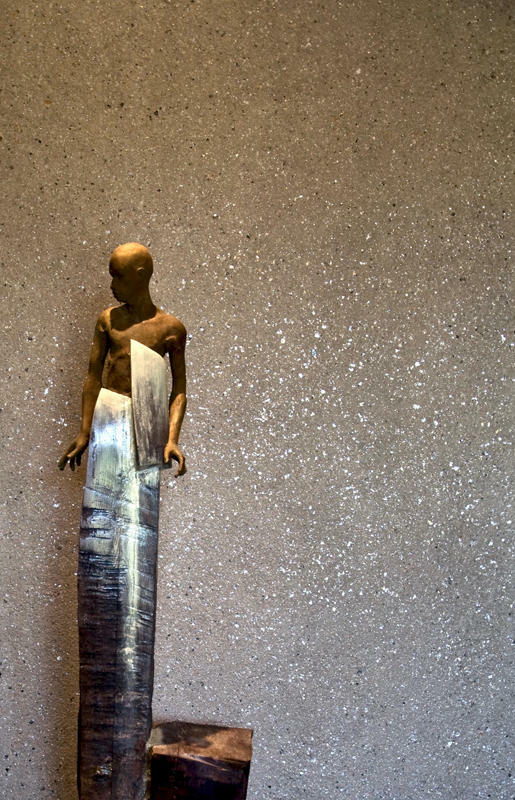 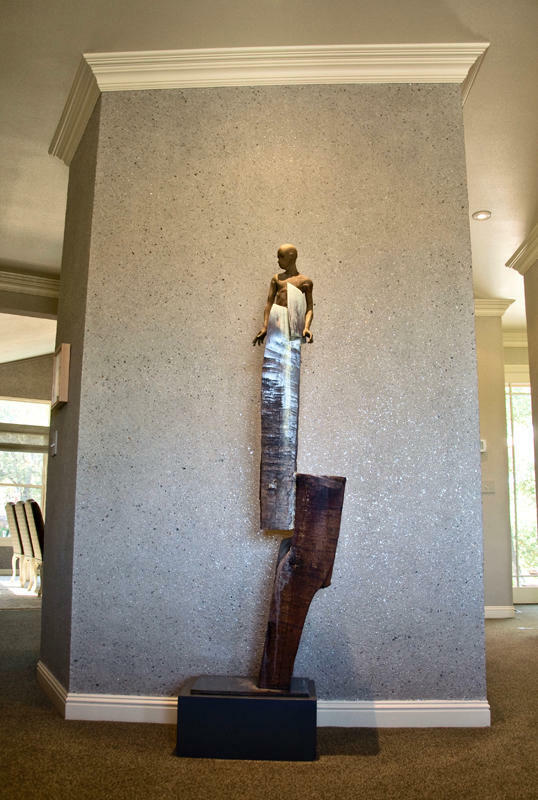 Various patinas were applied during the curing process to create the aged, textured look. 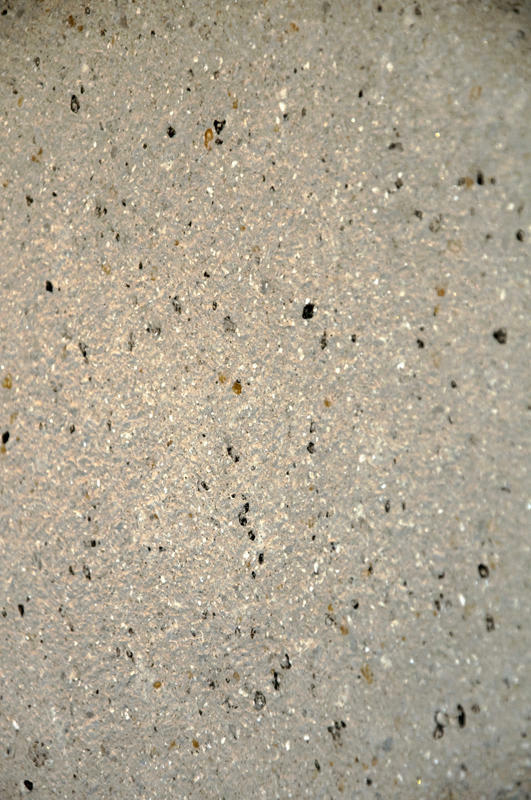 The interiors feature a range of uniquely formulated Stonelace products. 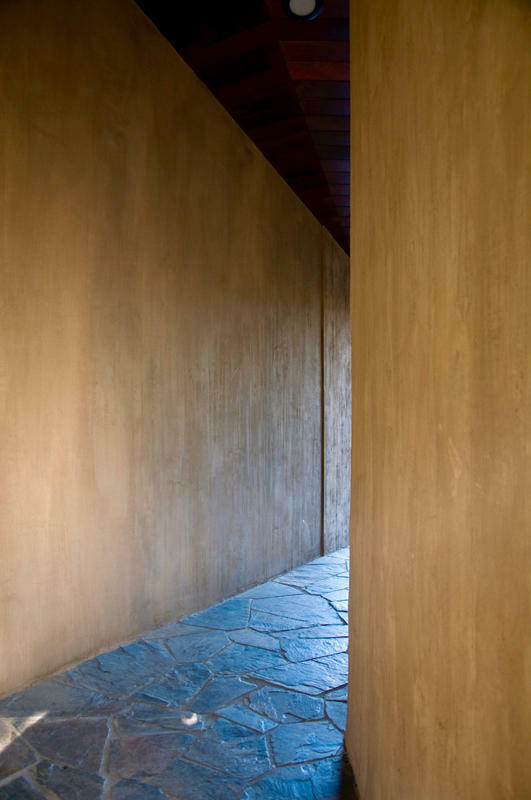 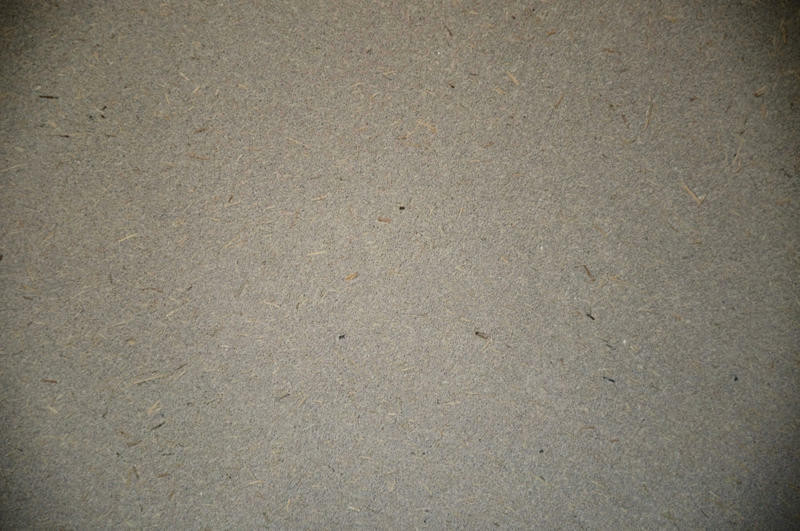 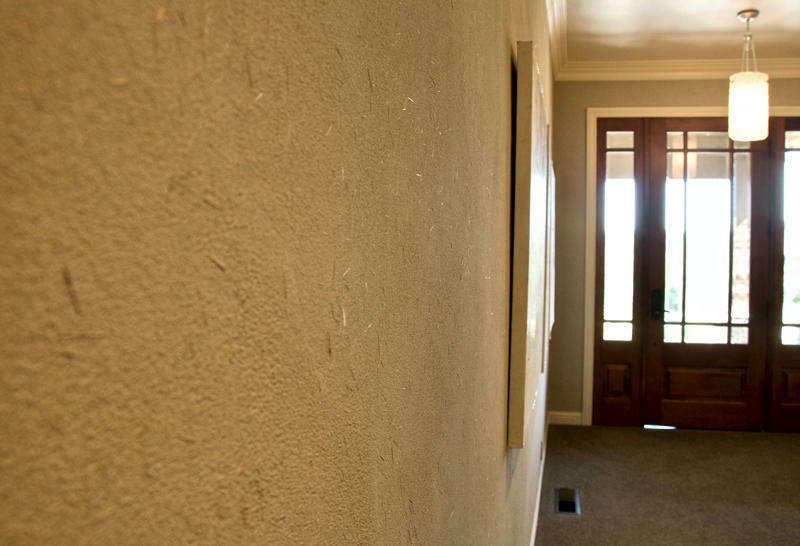 A troweled Japanese plaster finish with visible rice chaff fibers line the front entry. 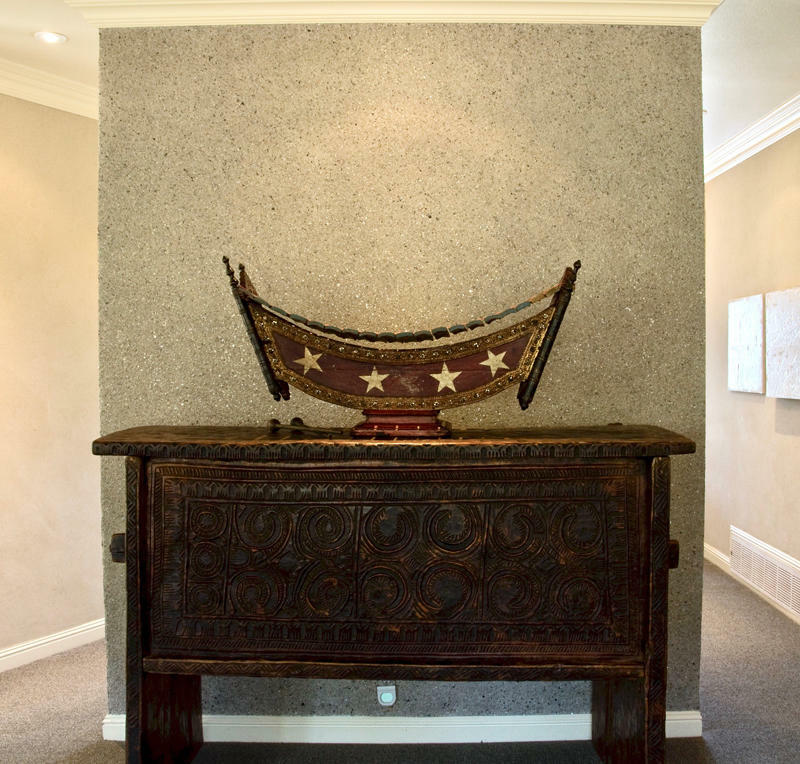 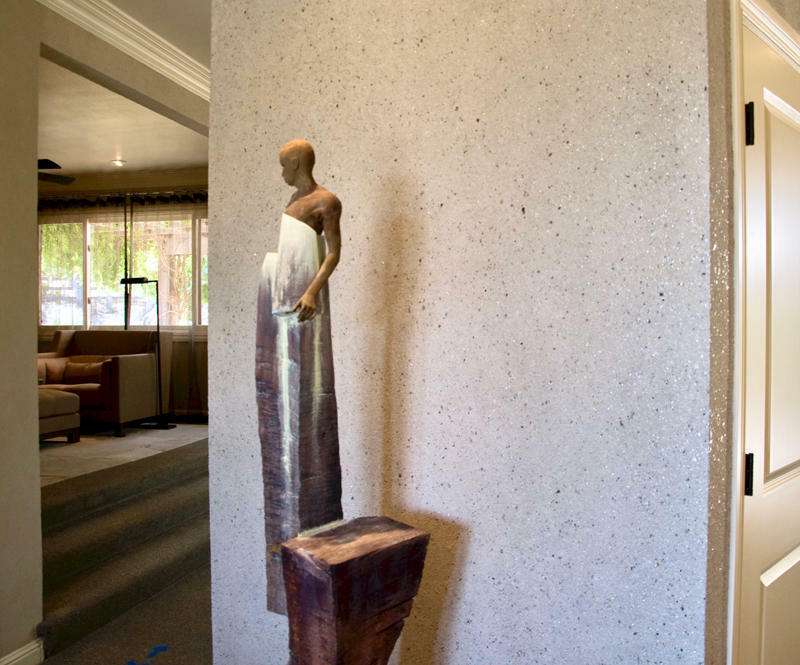 A divider wall was transformed into a sculptural display element with beautiful pieces of art on both sides backed by custom Shantung natural fiber finishes with additives of mica chips, glitter, and metallic string. 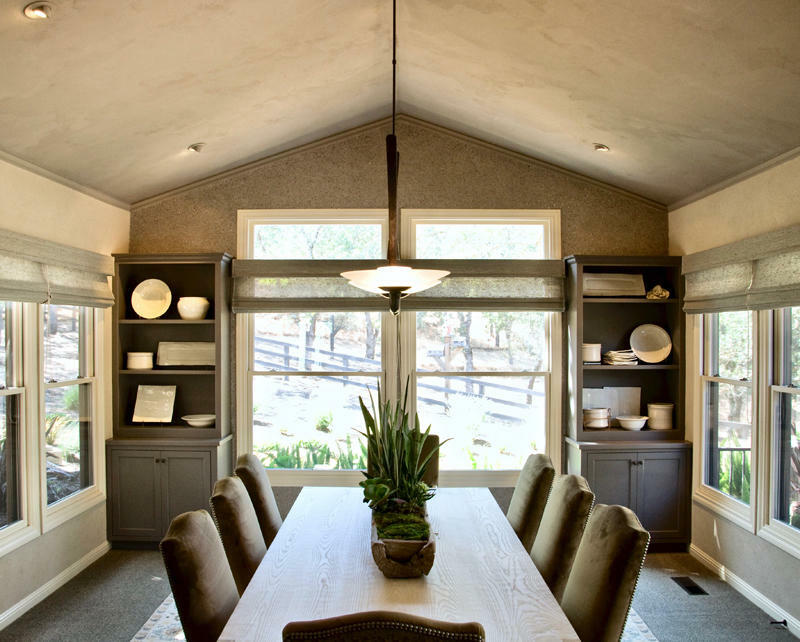 The vaulted ceiling in the dining area is finished with a matte clay plaster to reflect light flanked by Japanese plaster walls on two sides. 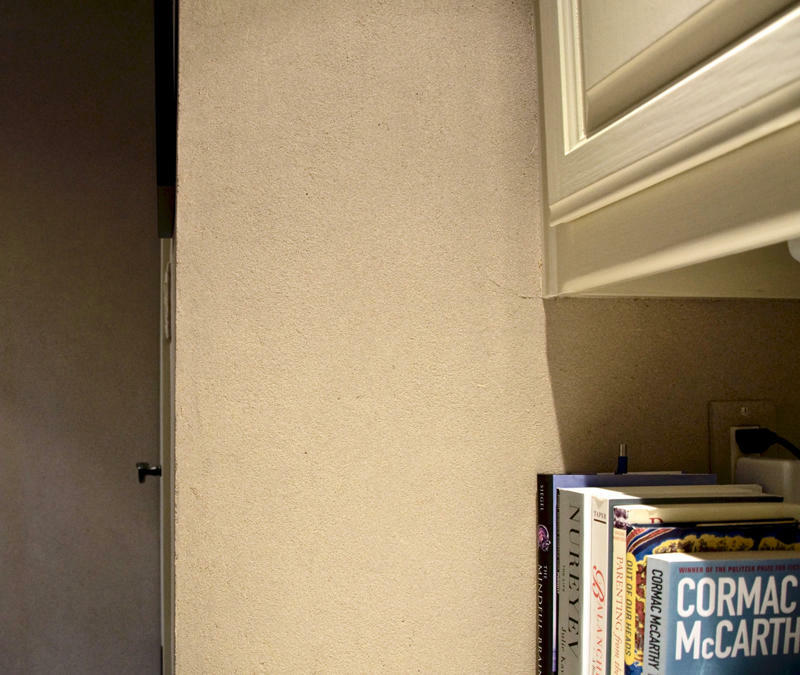 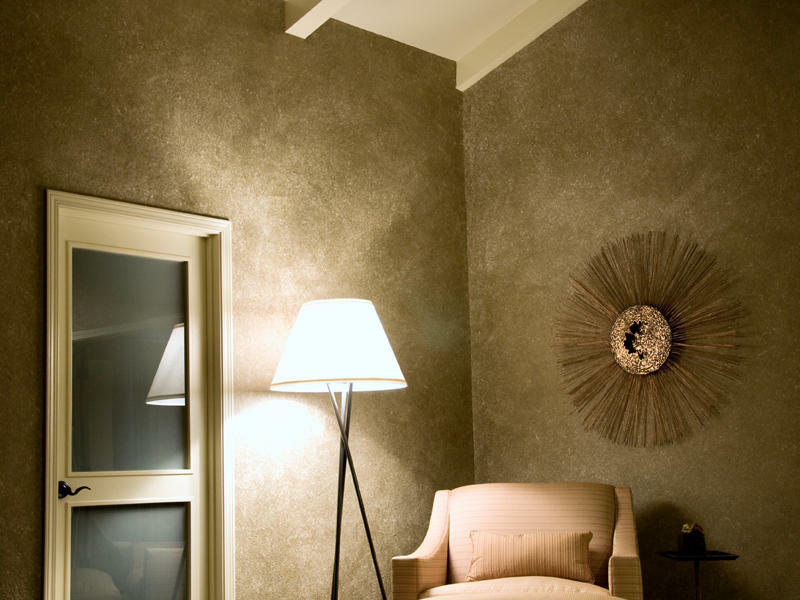 The far feature wall carries the Shantung fiber finish with metallic elements that sparkle and gleam. 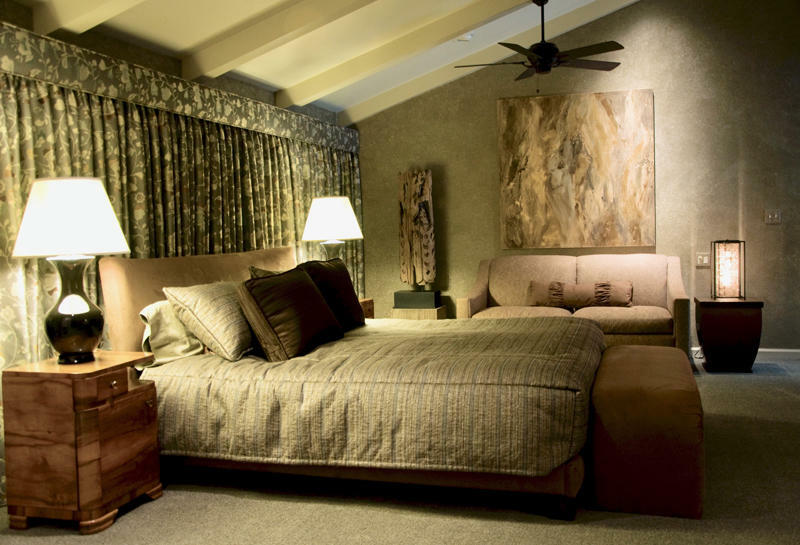 The master bedroom again incorporates the Shantung product but in a calmer, softer finish that creates a cozy, intimate space. 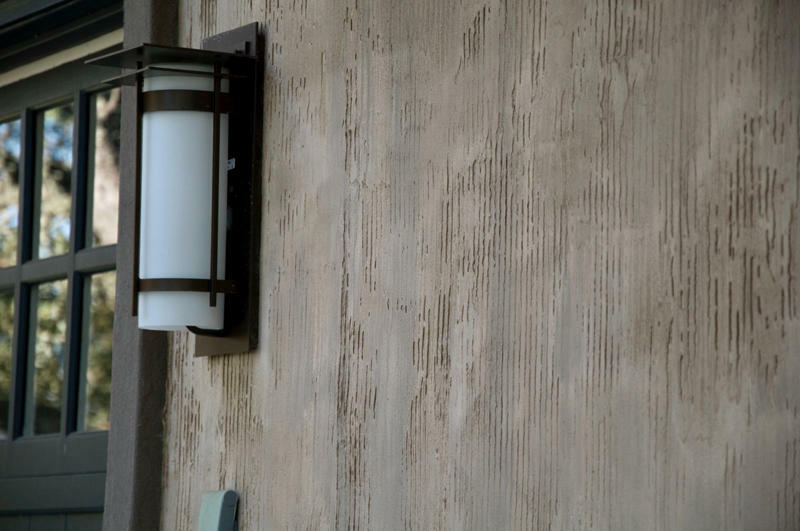 This project is a wonderful example of how various Stonelace finishes can highlight specific spaces as well as create cohesive elements throughout a residential project.